Airbnb is a very interesting company. The result of ​​two San Francisco roommates who sublet a room in their apartment to make ends meet a decade ago, the journey from the idea to the first round of millionaire financing took a lot of hard work, refusals from some famous investors and survival tactics that included selling breakfast cereals: an inspirational story masterfully narrated in an infographic video by Anna Vital widely used in business schools all over the world. Airbnb is the polar opposite of an overnight success, and is instead the result of steady, hard work. Today, this is a company that makes enormous efforts to understand its impact on cities, working with the authorities to find a balance that allows property owners to make some money while preventing over-exploitation of downtown areas: in short, one of the key players in the future of our cities and worth an estimated $31 billion. The usual path for a company like this would be to go public, providing more cash, as well as an opportunity to reward those who had the patience to stick with it over the years. 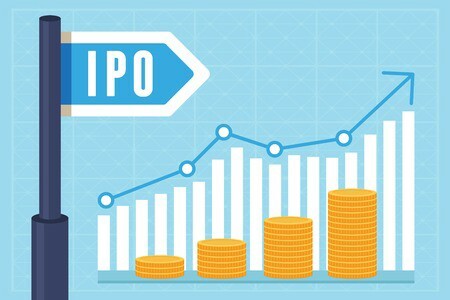 But the path towards an IPO has proved risky and complex for many such businesses. On February 1 Airbnb’s financial director, Laurence Tosi suddenly left, to be temporarily replaced by Belinda Johnson, the head of legal affairs, who has been promoted to COO, the job Tosi was supposedly after. On the same day, the company said it was delaying plans for its IPO, suggesting internal disagreement over the issue. Questions over Airbnb’s IPO make it clear that readying to go public is no bed of roses. This is a company comfortably in the black and whose founders are already among the super-rich, so there would seem to be little need to do things in a hurry, despite the insistence of some its investors and shareholding employees. But an IPO isn’t just about money: it requires a new approach to discipline and possible changes in corporate culture, something already considered crucial within the company. Many companies with great cultures when they were privately run have shown themselves unable to adapt to the rigors of public ownership. Yahoo! comes to mind, but even a giant like Google has faced difficulties in maintaining some of its most important and characteristic cultural features. Companies that underestimate the impact of an IPO do so at their peril. Today, the big difference between a company that goes public because it needs to and one that does so because it wants to is the desire to maintain the identity of the company and do things that many investors might consider too ambitious. This means holding on to core beliefs at all cost and accepting the wrath of analysts when you reject measures to boost growth because you have other plans or other time frames. Similarly, you may find your company is the victim of market circumstances beyond your control. Amazon offers a clear example: it asked the markets to be patient, saying not only would it would never pay out dividends but that its results would be erratic, negative or below analysts’ expectations for a long time because it was going to dedicate itself to financing its growth and diversification… and the markets, for whatever reason, understood and accepted this. Aside from a few occasions, Amazon’s investors have always been able to sell their stock at a profit, but most have decided to stay along for the ride, preferring to be part of a project they see as changing the world. Is Airbnb in the same league? Is this a company with plans to change the world, or that is happy to just continue doing what it does? I would say the former: Airbnb clearly has a vocation to do much more for its community, understood in the broadest sense, particularly in terms of travel as an experience. All the more reason for it to prepare its IPO with infinite care. Is Airbnb up to the task of creating a mission that will excite investors while at the same time keeping its head? Will it be able to withstand the tyranny of the quarterly results? A company that is already profitable can be more confident about going public, but maybe its founders, who no longer need worry about money, prefer not to be beholden to the markets. Depending on whether it continues to grow and make money, which seems to be likely, the company still has time to plan its strategy unless it comes under heavy pressure from its existing investors to do so. In other words, as one of its co-founders has asked: it wants to be allowed to do things at its own pace and in its own way. This is a reasonable enough request from the founders of a successful company. If they get their way, going public will be not so much the final and logical step taken by all successful companies to attract greater resources, but instead simply another stage of a longer-term roadmap that requires careful consideration.